We just published our very first Kindle eBook, which we offer for free to our readers this week only. 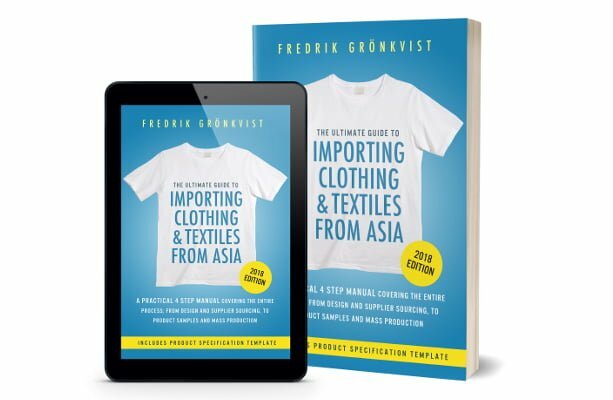 For the sake of managing expectations, I want to mention the process explained in this eBook is a simplified version of what you’ll find in the import manual. Nevertheless, if you’re interested in a free copy, you’ll find it here. Further, the book is available for free until Friday this week, as Amazon only allows a 5 day ‘free’ offer. Can I read Kindle eBook this on any device? Yes, you can read this via the Kindle Reader App for PC, Mac, Android, iOS or on a Kindle Device. Can we get this book for free? We run a ‘free book promotion’ from October 15th to 19th. Do you intend to publish more Kindle books in the future? Yes, we intend to expand this into a book series, covering multiple product categories. Should I buy this book if I already have the Starter Package? No, the process covered in the Starter Package is more comprehensive than that of this book. This is a quick read for people interested in grasping the overall manufacturing process. Further, this ebook is not including any of the document templates or tools provided as part of the Starter Package.